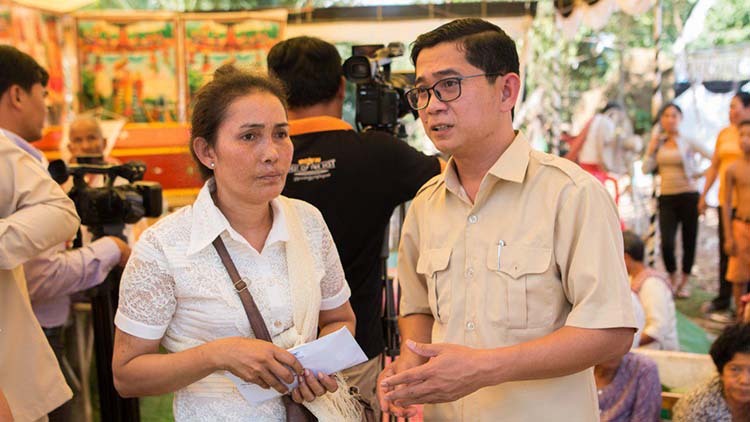 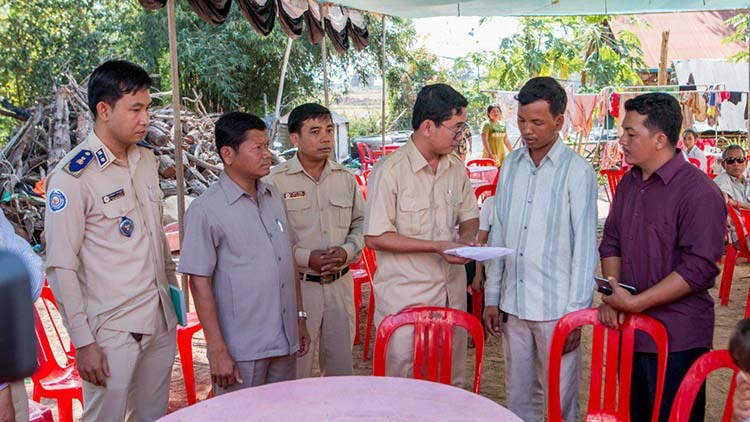 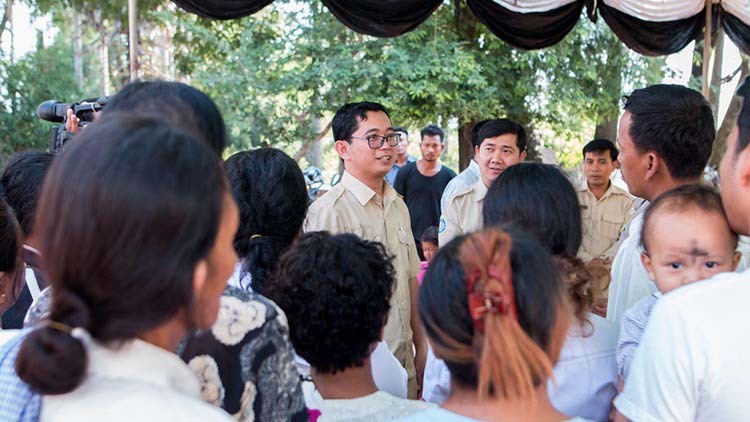 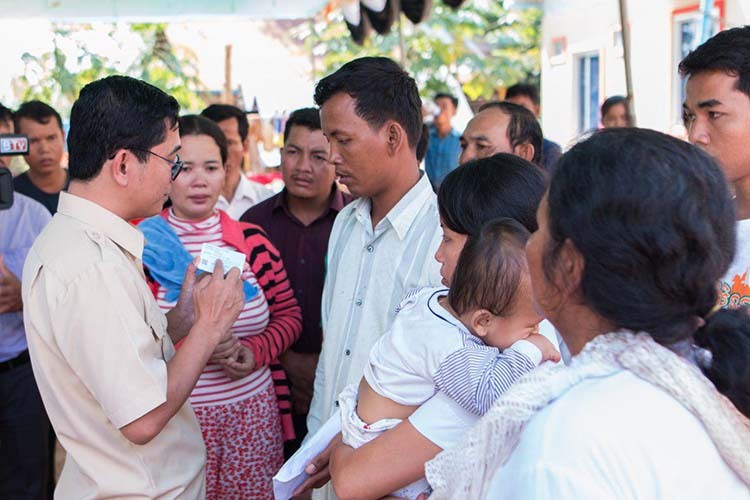 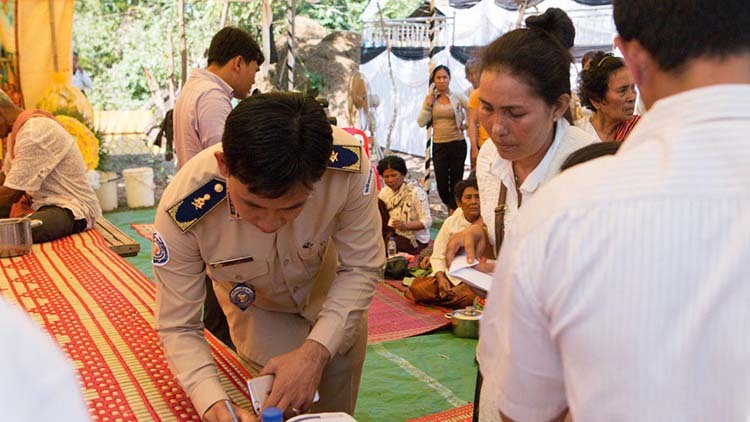 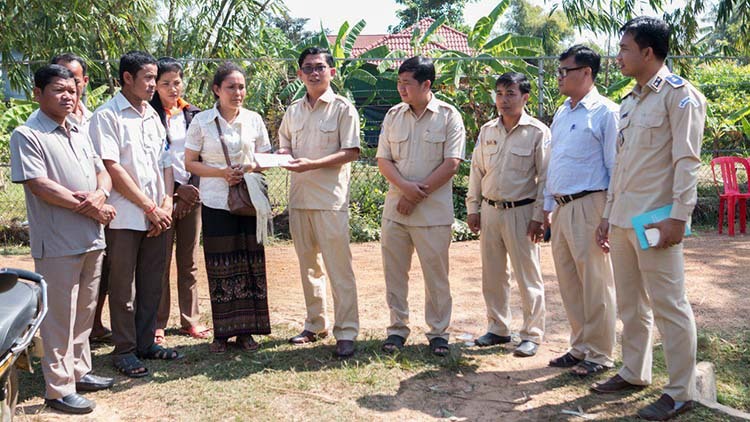 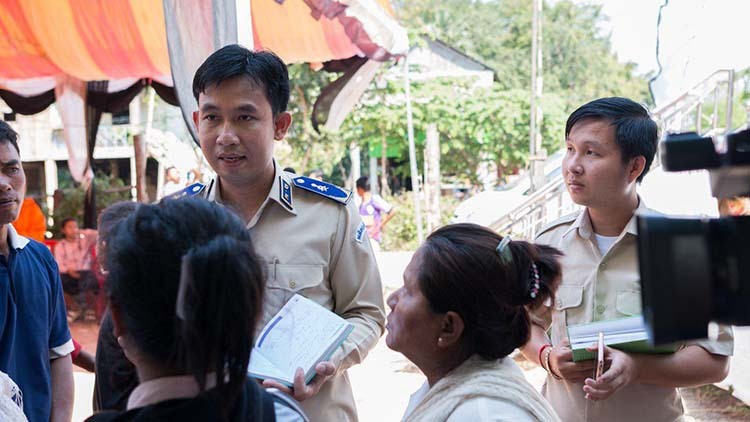 Kampong Speu—On Thursday of 19 December 2018, the NSSF team went directly to the houses of 03 victims who worked in GOLDEN RICE (CAMBODIA) CO., LTD. suffered from work injury leading to death due to the burned-down factory, situated in Ksem Ksan commune, Oudoung district, Kampong Speu province, while working in a bid to provide 4 million riels of funeral grant for each dead victim and other benefits to the person responsible for the funeral and the survivors of victims. 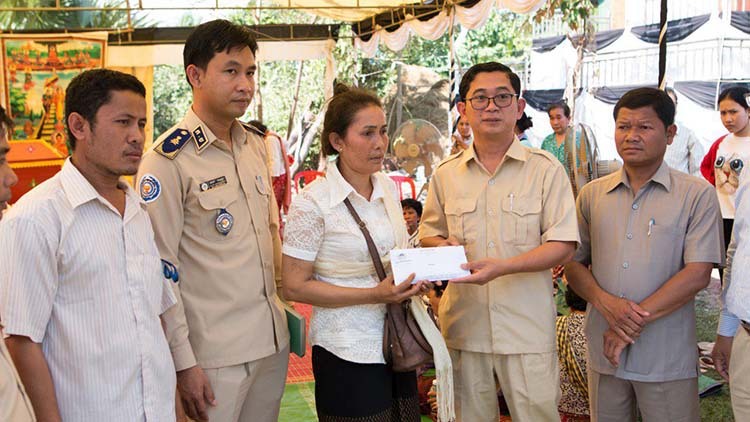 It’s certified that the cause of fire resulted from short-circuit bursting into flames and burning the husk. 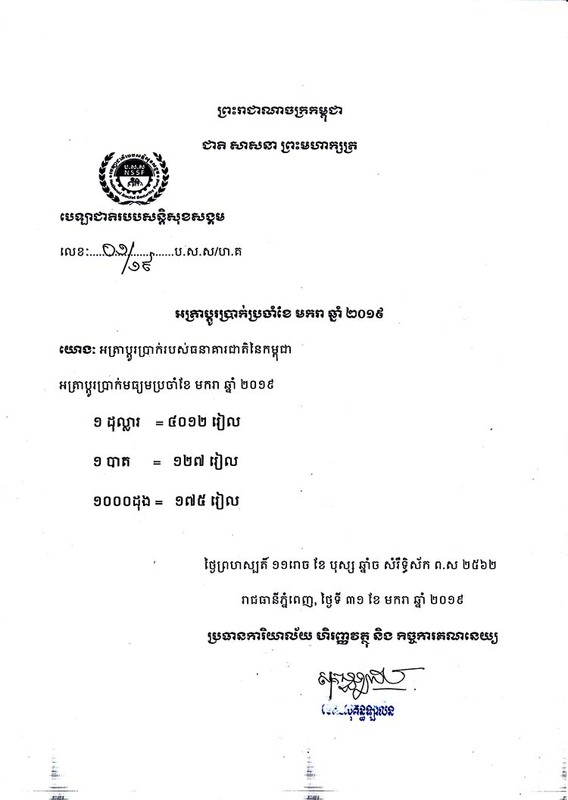 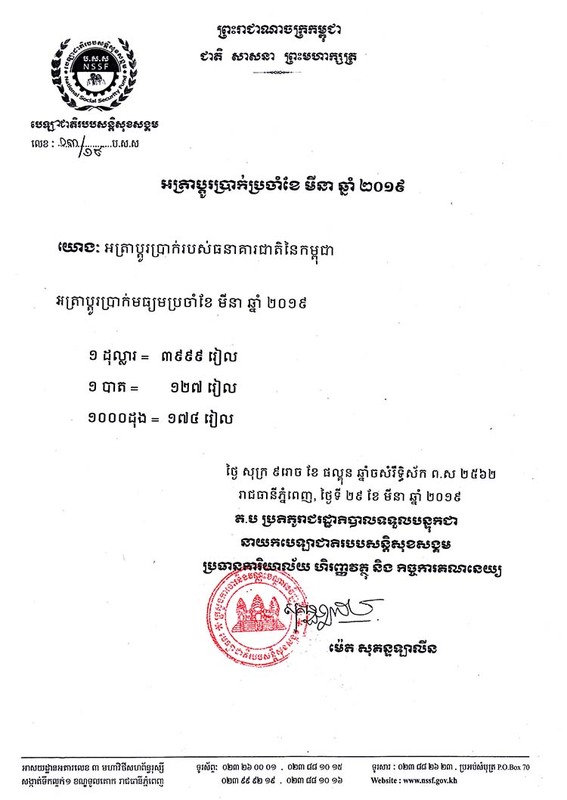 In this accident, there are 06 victims in total—02 deceased at the accidental scene, 01 passed away while the victim was being sent to the hospital in Vietnam, 02 injured seriously hospitalizing at Calemetté hospital, and 01 hospitalizing in the hospital in Vietnam. 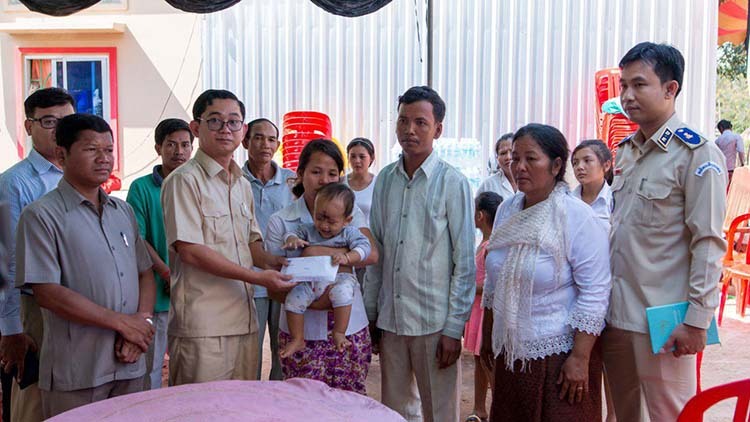 For the victims hospitalizing in the hospital, cost of medical care services until recovery is borne by NSSF; and the victim will receive other benefits as stipulated in the law on Social Security Schemes for Persons Defined by the Provisions of the Labour Law.